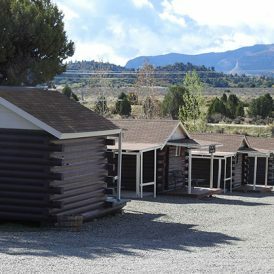 Ancient Cedars Mesa Verde RV Park is an ideal, country-style, destination park located on 12+ scenic acres in the heart of Mesa Verde Country, close to a variety of acclaimed attractions in and around the Four Corners area. You’ll find we offer the most-friendly guest experience this side of the West, so bring the family and your favorite furry friends! Camp among our 1500-year old Cedar Trees. 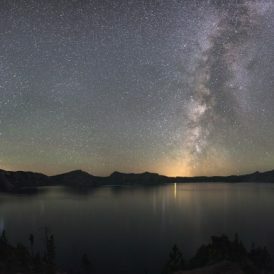 Our evening dark sky is primed for stargazing, and unforgettable shooting stars! 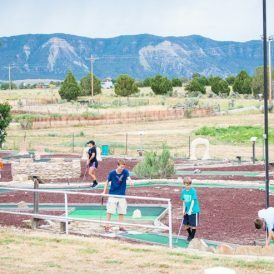 Be sure to take part in our on-site activities such as miniature golf, swimming, hot tubbing as well as horse-back riding right next door! Experience camping with us from March to October. We take reservations all-year-round. Enjoy cedar tree-shaded sites, fire rings, grills and picnic tables. 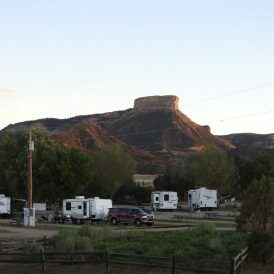 We offer spacious sites for any size RV along with special areas for tent camping and accommodations for group camping. We also have sites that can combine tent and RV camping. The surrounding mountains and national park offer fabulous views from any area of our grounds. Make yourself at home and enjoy the best camping experience nature has to offer! 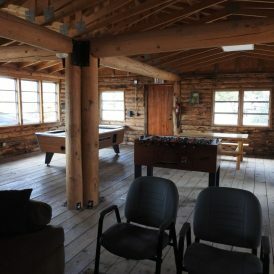 Camp in style with our newly upgraded deluxe log cabins! Each cabin comfortably sleeps between 4 and 5 people with a queen bed, bunk beds and new pillow top mattresses. Convenient new amenities include a TV, refrigerator, microwave, air conditioner and heater. Enjoy outdoor barbeques under your own covered picnic table with grill, or simply take in the views as you sit under the cabin’s covered porch. 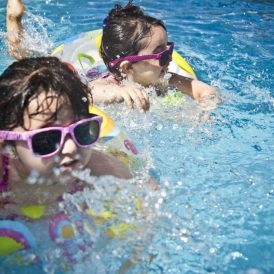 Since you’re situated just across from the pool and hot tub area, you’ll be living the life! 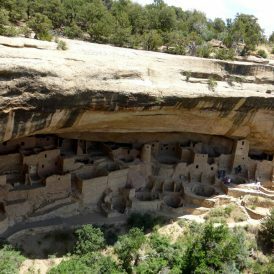 Don't be Fooled - Closest Premium Park to Mesa Verde National Park and Ruins! The absolute BEST RV Park! 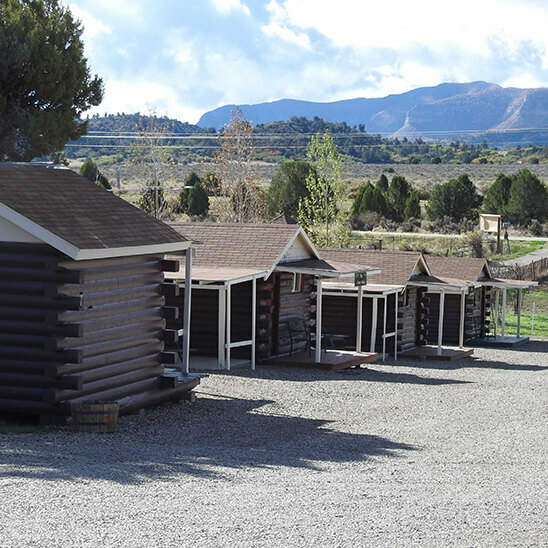 Quaint, quiet and literally right across the highway from Mesa Verde… And the view in each direction is spectacular. You are within driving distance of more National Parks, Monuments and scenic drives. We had a spacious, shaded pull thru spot. 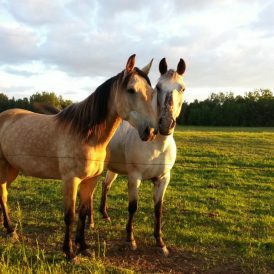 The park is well maintained, pet friendly, and all the hosts friendly and helpful. Felt like I was a welcome friend instead of a customer. They worked magic to help us extend our stay…on Memorial Day weekend! Fabulous people, fabulous park. Ancient Cedars is a wonderful little campground. The staff are very nice and accommodating. The facilities are clean and they have Wi-Fi. We especially love that they have a dog run for our fur babies. This place is awesome. The owner is the nicest person you’ll probably ever meet. She bent over backwards to fit us in and accommodate us. The park has the best 1/2 acre dog park that I’ve seen. It has a swimming pool, mini golf, horse riding and a hot tub. The Wifi isn’t that great but, you’re camping, so unplug and don’t worry about that. We were in a 5th wheel in the back section. This is a nice rustic park across the street from Mesa Verde NP. Loved it and will go back. Clean RV Park in lovely setting with perfect views of Mesa Verde Nat’l Park. The Mesa Verde park entrance is same exit directly across the highway. Staff are friendly. Bath house is nice. This is a no exterior lights “dark park” at night time so the beautiful nighttime views of the Mesa with the stars and milky way visible hovering over are not affected by light pollution. Highly recommend Ancient Cedars.